Canella is a tiny but intimate pearl in the heart of the city, located on the 2nd floor. Even though it is in a central location, the flat ensures a quiet, relaxing stay. 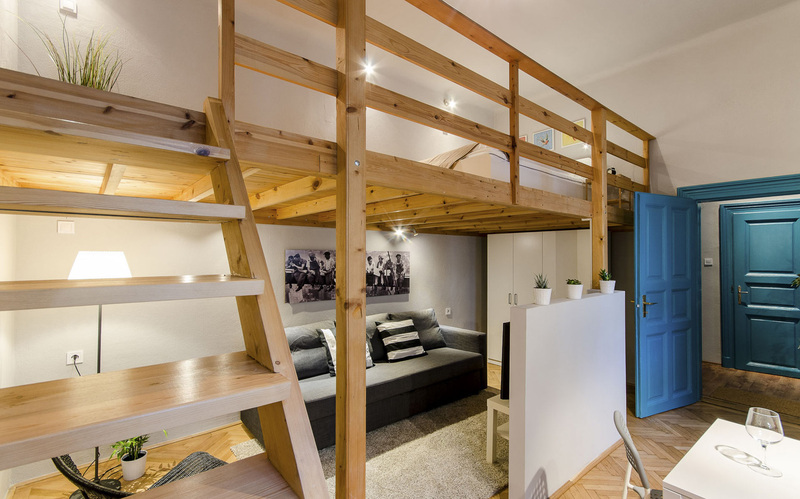 You can feel yourself at home in this cozy and peaceful apartment with mezzanine. It’s a perfect choice for couples, friends, business travelers, and families. In the well-equipped kitchen you can cook for any nation’s taste. Perfectly central location: the Nyugati Railway Station and the WestEnd Shopping Mall are just a couple of corners, the Margaret Island and the Parliament are only some tram stops away. Bus and underground stops are a few minutes away from the flat, so you can map any part of the city and get home easily even after a long night out.